Possibly you are wondering: What does "taraz" mean? Well, according to an Armenian dictionary, taraz has many meanings. We are going to use all of those words to describe the traditional national dress of Armenia, or taraz. Being located in a high canyon, the treasure of Armenia stands proudly, attracting everyone who has ever visited this marvelous place. 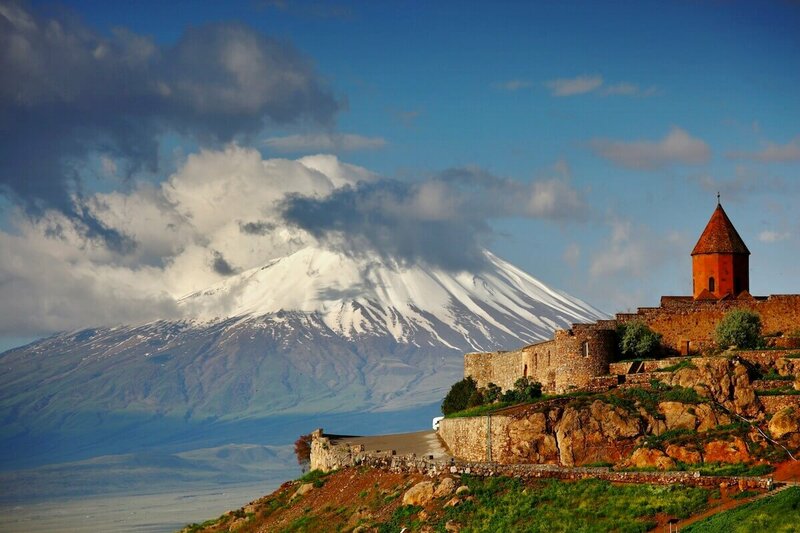 Maybe, for foreigners it may seem strange that every Armenian loves Ararat Mountain, knowing that the mountain is not in the territory of Armenia. This article will help you understand, why it is so. Don’t you know what to take with you from Armenia? Definitely, you can find your gift in Tufenkian Carpets or Megerian Carpets Armenia. Yell Extreme Park is the first extreme amusement park in Armenia. Here activities give you chance to feel the importance of extreme and adrenaline. It’s not a secret that Armenia is one of the most hospitable and generous nations. It can be surprising for you to see that Armenians will invite a stranger their home, lay a full table and treat, even make them eat. Are you interested in History? Always wanted to appear decades earlier? In Armenia, your dream will come true. As being one of the oldest countries in the world, Armenia still keeps some traditions that are weird for others. If you are fond of giving presents, Yerevan offers you the best shops where you can find anything that you want. Armenia being a land of stones and rocks every time shows to the world the power of Armenian spirit. Being one of the oldest nations in the world, Armenia has a rich cultural heritage which passed on to our generation from our ancestors. Do you enjoy hiking, or just love the great outdoors? Then Armenia is definitely the country for you to travel to! Armenians have been innovators since the beginning of time, contributing some of the most vital inventions the world has seen. He was born in 1924 in Paris to Armenian immigrant parents and became one of France’s most popular singers, was recognized as the most outstanding performer of the century and is arguably one of the most famous Armenians of his time. 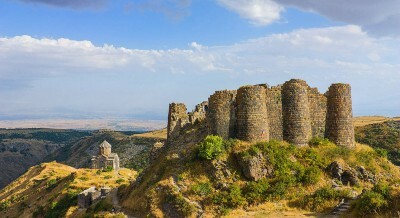 When planning your trip Armenia may not be the first place that many people would think to go but it is truly hidden wonderland when you discover its full beauty. 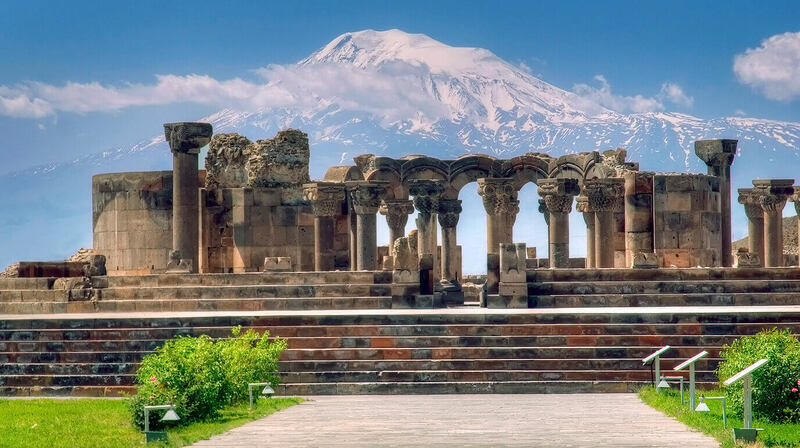 You will find that a lot of tourists love coming to Armenia because of how beautiful and diverse this country is even despite its small geographical size. Armenia will bring you the longest ropeway in the world, the longest Zip-line in the world, absolutely delicious cuisine and most popular Armenian wine that is popular in the globe especially across Europe and US. You will love its ancient culture, hospitable people, live many amazing hikes, rich nature and wildlife. Backpackers can enjoy the thrill of exploring the unbeaten tracks while luxury seekers may find that they do indeed have many choices as well. 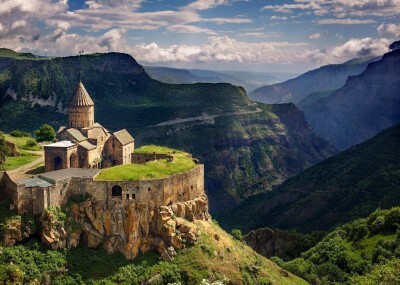 Did you know that Armenia was the first country in the world that officially adopted Christianity as a state religion? It happened in 301 AD with the assistance of Gregory the Illuminator and Armenian king Trdat III. Etchmiadzin Cathedral was the very first Christian cathedral in the world which has become the religious center of all Armenians. Today you can see many different churches and religious monuments of Christianity in any Armenian community worldwide. 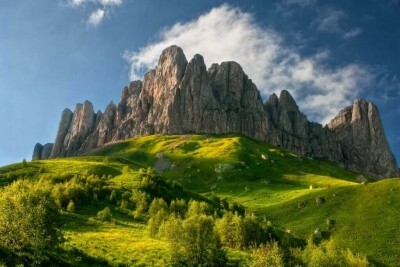 Armenia displays stunning natural diversity of landscape, flora and fauna. Blooming Ararat valley, dramatic sceneries of volcanic highlands, marvelous mountain Lake Sevan with its crystal clear water, valleys of fast flowing mountain rivers, breezy forests of Dilijan and Jermuk, "Symphony of Stones” – unique basalt rock formations in the canyons of Azat and Arpa rivers, serpentines of the Great Silk Road set in mountain sceneries, intrepid mountains of Zangezur range with wild growing trees of pomegranate and almond, oak groves of Meghri and vast steppes of Vayots Dzor. Many of these are declared as UNESCO World Heritage places of breathtaking and beautiful sceneries across Armenia. National cuisine is the real pride of the Armenian people, one of the oldest cuisines of Asia and the oldest in Caucasus. Despite the huge Armenian Diaspora around the world which cooks most of Armenian national dishes, some recipes can only be tasted in their country of origin. The special type of oven (touner) and utensil (crockery) had a great influence on distinctiveness of the culinary technique, diet, and particularly on uniqueness of the Armenian traditional flat bread called Lavash. Convinient location of the country between the East and the West made it battle field for the great impires during the ancient times and the Medival Ages. 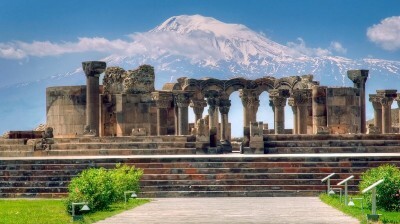 As a result the national culture of Armenia acquired some features from the both eastern and western civilizations. Here you can discover such symbol as “khachkar”, the so-called crosses-stones, the monuments of Armenia which are not found anywhere in the world. If you are a lover of ancient architecture, rich literature, art of theater and museums, various folklore, new type of music with special melodic pattern and magnificent sounding, then you definitely do not want to miss your ticket to Armenia. “Heaven is under our feet as well as over our heads.” Henry David Thoreau Nature is Everywhere! Nature Heals! Nature Restores! Nature makes us happier. The recent research reveals that being in nature, breathing the clear air, viewing scenes of nature, looking at the calm waves of the water, hearing the birds singing decreases anger, stress, and fear, and the opposite increases the physical well-being, heart rate and blood pressure. Though Armenia is considered to be mountainous country, it has a rich nature where you can have unforgettable memories and experiences. The mountainous lakes, fresh and healthy air and curative springs are worth to be discovered and experienced. Come and discover this extraordinary country’s Nature and be healthy.